The best advice I can give to anybody is make your own jerky. It is not hard, but does entail physical labour, plus an investment to buy the necessary equipment. There is always a sense of satisfaction after you are done, where you have a temporary bounty of jerky. It was not until 2007, where I tried homemade jerky which I loved. Growing up, any jerky I tried tasted like burnt sandpaper. In late 2007 I was cooking strips of meat hung on toothpicks in my oven, which is technically not jerky. The minimum temperature my stove allowed was 170 degrees Fahrenheit, but jerky should be dried at maximum 160 degrees Fahrenheit, and never could get that dry, jerky texture. In 2008, I bought a food dehydrator which changed everything. The flavors I have experimented with to date are original, peppered, garlic, teriyaki, hot, hickory, barbecue and curry. To get ideas on what ingredients to use with jerky I started collecting bags of jerky, where I have accumulated a sizeable collection now via travels and ordering online. There are two basic different ways of drying jerky. A smoker, a food dehydrator, or both. My focus will be on a food dehydrator. The model I got was Excalibur, which has 9 trays, where I can fit 16-17 pounds of beef, depending on the how thick I cut the jerky, resulting in around sixty 60 ounce bags. Let’s assume we are making beef jerky. The leaner the meat the better is always the rule. Fat is an enemy of jerky, which spoils first before the meat. When ordering meat I specifically request that all the fat be trimmed off first. The best beef cuts are brisket, inside round or outside eye round. While all are comparable, I would choose outside eye round as my first choice. Some people prefer using a knife over a slicer. My preference would be a commercial grade slicer, which starts around $400. Don’t settle on the smallest possible commercial slicer, you are slicing big slabs of meat. Using a cheap slicer can be very frustrating where I had been using a knife for a few years. A knife to slice meat should be very thin and long. Always make sure you sharpen your knife before making jerky, which makes a world of difference. The combination of ingredients is endless. Your jerky will only be as good as your worst ingredient. While not required, I recommend buying high quality products. For example, soya sauce can vary widely in quality, and in some cases, very unhealthy in some of the cheap products. Another example is to use sea salt over table salt. Common ingredients you find in jerky are salt, soy sauce, water and sugar. In my opinion, fresh garlic is a must for homemade jerky. Garlic can vary widely in taste, where you should try to buy local, organic or high quality, which will not be cheap. Never use pre-peeled garlic, which will be dead in taste. I recommend to use 1 pound of garlic for every 8 pounds of meat. Salt, by far and away, is your largest preservative. As a rule of thumb you should be using 9 grams of salt per pound of meat. Try to avoid using table salt. There are healthier alternatives, like sea salt, kosher or Himalayan salt. Note: Keep in mind, if you use ingredients like soya sauce, include salt. You should subtract that from your 9 grams of salt per pound. Ingredient lists do not specify exact quantities. Ingredient lists are ordered from the most used ingredient to the least ingredient used, by weight. When I use soy sauce and worcestershire in my marinade, I use 7 grams of salt per pound instead. If you want your jerky to last 6 months, use the standard 9 grams per pound of meat. If your jerky will be consumed within 30 days you can use 6 grams of salt per pound. I would only consider using sodium nitrite if you want your sealed bag to last over 6 months. Oxygen is the prime enemy of jerky, where you want to seal your bags properly using a bag sealer, if you want the jerky to last more than 30 days. If I were comfortable with using table salt I would purchase a cure being a mixture of table salt and sodium nitrite. The cure should contain less than 1% of sodium nitrite. Whether using a knife or a food slicer, the major important thing is to keep the thickness of each slice consistent. It’s not important how wide or tall each piece is, or if each piece matches in size. The hardest thing about making jerky is getting every single jerky piece uniform in taste from batch to batch, and strip to strip. If your jerky is a mixture of thick and thin slices, you will never have jerky that has a uniform taste. An important aspect of slicing is that cuts of meat have a grain, which is a set of lines. Slice along those lines, and not against. One thing I love about jerky is you can take a large slice and easily tear strips off, which is essentially tearing down the grain. While you could just use dry rub spices (traditional jerky) we fill focus on gourmet jerky, which involves placing the meat in a liquid (marinade) for 12-24 hours. No matter what ingredients you choose for your marinade, the general rule is 1/2 cup to every pound of beef. If you measure properly, the entire marinade will soak into the meat. For example, 6 pounds of meat should have 3 cups of marinade. For fresh ingredients like garlic or ginger, I use a food processor, which is easier and faster than a knife. I dump all of the marinade ingredients into a blender. I gently blend all of the ingredients at 1/2 speed at most, and not for long. While hard to attain, you want something like garlic or peppercorn just small enough before it falls off a strip of jerky. Then, I pour the marinade over strips of meat in glass trays and mix it with my hands for a few minutes. After marinating the meat I put the trays in a refrigerator. It really helps to have a scale that measures in pounds. While not mandatory, I do recommend at the half way point of marinating to massage the meat again for a few minutes. This does help keep your jerky uniform in taste. There is not all that much difference between marinating for 12 hours or 24 hours. My goal in making jerky is to maximize how much jerky I can load into the dehydrator. I start at the top left, laying strips horizontally to form a line. At the end of the line, if the piece is too long, I start a new line with that strip. You continue that process all the way until you get to the bottom of the tray. It kind of resembles putting a puzzle together, which gets easier over time with practice. 55%-65% of the original jerky weight will be lost due to moisture in the drying process. As a result, I overlap each strip a bit, where after the drying process, losing 55-65% of the weight they will not be touching anymore. 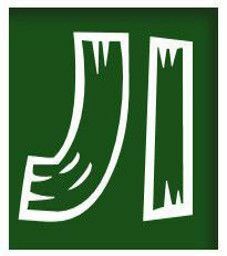 Generally, the recommended jerky temperature is 155-160 degrees Fahrenheit. In my dehydrator the jerky takes on a crispy texture at 160 degrees, which I dislike. My personal favorite temperature is 146-148 degrees Fahrenheit. At 160 degrees you can dry jerky in 4 – 6 hours. Using 146-148 degrees it takes 10 – 12 hours to dry. All depends on the jerky thickness, where let’s assume it is medium thickness. No dehydrator is perfect, where every square inch will consistently retain an identical temperature. Around the halfway mark, let’s say for 10 hours of drying, the halfway mark would be 5 hours. Let’s assume we have 6 trays of jerky. I would swap the top tray with the 4th tray. Then swap the bottom tray with the 3rd tray. Lastly swap the 2nd tray with the 5th tray. Before inserting tray into new level, rotate the tray 90 degrees, a quarter turn. This whole step is not mandatory, but will result in more consistent jerky. Note: Do not dry jerky under 145 degrees, and dry for minimum 4 hours. Below 145 degrees is not high enough to kill off harmful bacteria and pathogens. At a bare minimum use zip lock bags. The less exposure jerky gets to air the longer it will stay fresh. My personal choice is to use a bag sealer on resealable bags. I order boxes of resealable bags from a company where each bag costs about 5 cents. 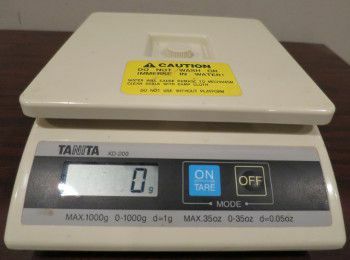 It helps to have a scale that weighs in grams, so you can make each bag consistent in weight. Here is the basic equipment needed for making jerky. You can either use a knife or a food slicer. For slicing meat with a knife, it is recommended to use a long skinny blade. Always be sure to sharpen your knife, it will make slicing much easier. My advice is not to use a cheap food slicer. A poor quality food slicer can be extremely frustrating and annoying. Commercial grade food slicers start at around $400, which is not cheap, but worth it if you are dedicated to making jerky, which should last a life time. I use a stainless steel bowl to speed up peeling garlic. A food processor is optional. I only use one for fresh food, like garlic or ginger. A blender is optional. I like to use a blender to blend the marinade. 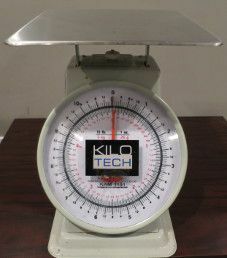 I use a food scale to weigh meat in pounds. That is important, so you know how much marinade to use. I use glass trays for the marinade. Glass is preferred, where some ingredients can be acidic, which would eat right through plastic. Dries the meat using low temperatures. Our Excalibur dehydrator model can fit 16 – 18 pounds of meat in one jerky batch. Smaller dehydrators are out there also. I definitely recommend using stainless steel trays instead of plastic, if possible. 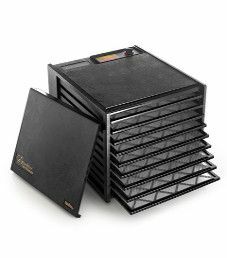 For the Excalibur dehydrator, you have to pay extra for stainless steel trays. It is optional if you want to use a resealable bag, depending on how long you want your jerky to last. A scale to weigh jerky in grams for bags. Used to seal plastic bags. I’m thinking of starting a home based jerky business and your instructions on how to make jerky and the ingredients and equipment is exactly what I needed to confirm I am on the right path of making a good product. I plan on getting a commercial dehydrator as my small dehydrator only does 1 pound batches. I’m stuck on finding a name for my business and looking into websites to advertise. How long does Jerky made from Ground beef Last in a zip lock bag?